Wilson Phillips is a vocal group.Their 1990 self-titled debut album sold over 10 million copies worldwide, and scored three number one singles on the Billboard Hot 100 making the trio, at the time, the best-selling female group of all time. In 1990, the group won the Billboard Music Award for Hot 100 Single of the Year for Hold On, and in addition was nominated for four Grammy Awards and two American Music Awards. 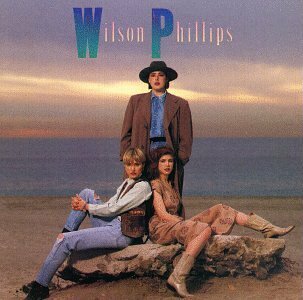 Wilson Phillips released the following albums including Wilson Phillips (1990), Shadows & Light (1992), Wilson Phillips - Greatest Hits [Capitol 2000] (2000), The Best of Wilson Phillips (2005), California (2008), Best Of: Green Series (2008) and Christmas in Harmony (2010).